Back in May, Burrito Justice imagined a world where we’d be docking our canoes on the shores of a Dolores Park Island Oasis on sunny weekends. Boy, I’d hate to be downstream from the river west of Dolores Park. The water probably runs yellow, if you catch my drift. 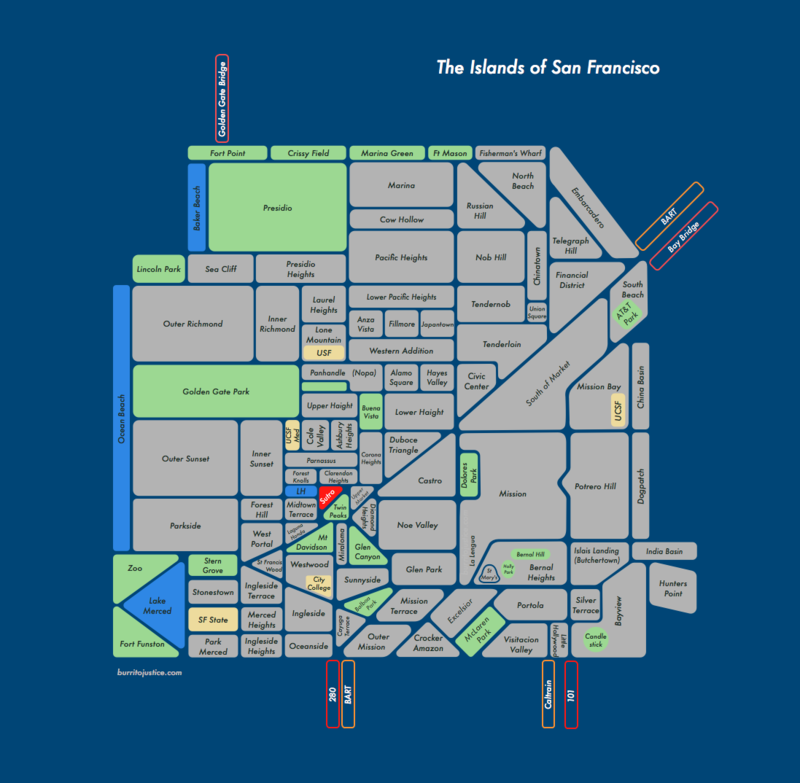 This amazing SF islands map is now a poster for sale on Zazzle in three different sizes. He says you can get it in time to deliver to your San Francisco-loving friends for Christmas. It’s way better than socks! 23″ x 23″ for $25, 15″ x 15″ for $16. 11″ x 11″ for $11. 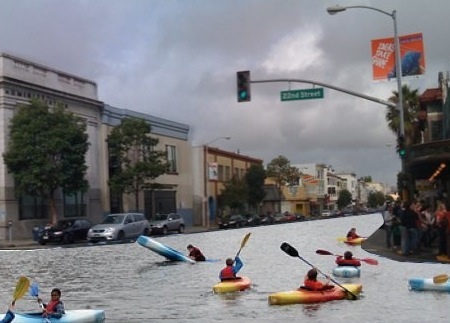 Mr. 0’s illustration may foreshadow the effects of global warming on San Francisco. Maybe we’ll get the Valencia-26 back as a gondola.